We receive and store certain types of information whenever you interact with us. HTTR4LIFE.COM and its authorized agents automatically receive and record certain “traffic data” on their server logs from your browser including your IP address, HTTR4LIFE.COM cookie information, and the page you requested. HTTR4LIFE.COM uses this traffic data to help diagnose problems with its servers, analyze trends and administer the website. HTTR4LIFE.COM may collect and, on any page, display the total counts that page has been viewed. Many companies offer programs that help you to visit websites anonymously. 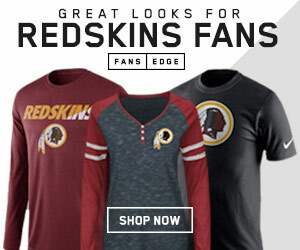 While HTTR4LIFE.COM will not be able to provide you with a personalized experience if we cannot recognize you, we want you to be aware that these programs are available. HTTR4LIFE.COM is very concerned about your privacy and we will never provide your email address to a third party without your explicit permission, as detailed in the “Sharing Your Information” section below. 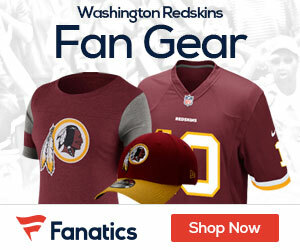 HTTR4LIFE.COM may send out e-mails with HTTR4LIFE.COM related news, products, offers, surveys or promotions. Cookies are alphanumeric identifiers that we transfer to your computer’s hard drive through your Web browser to enable our systems to recognize your browser and tell us how and when pages in our website are visited and by how many people. HTTR4LIFE.COM cookies do not collect personal information, and we do not combine information collected through cookies with other personal information to tell us who you are or what your screen name or e-mail address is. HTTR4LIFE.COM Personnel: HTTR4LIFE.COM personnel and authorized consultants and/or contractors may have access to user information if necessary in the normal course of HTTR4LIFE.COM business. Business Transfers: In some cases, we may choose to buy or sell assets. In these types of transactions, user information is typically one of the business assets that is transferred. Moreover, if HTTR4LIFE.COM or substantially all of its assets, were acquired, user information would be one of the assets that is transferred. Syndication: HTTR4LIFE.COM allows for the RSS syndication of all of its public content within the HTTR4LIFE.COM website. You must be 13 years and older to register to use the HTTR4LIFE.COM website. As a result, HTTR4LIFE.COM does not specifically collect information about children. If we learn that HTTR4LIFE.COM has collected information from a child under the age of 13, we will delete that information as quickly as possible. We recommend that minors between the ages of 13 and 18 ask and receive their parents’ permission before using HTTR4LIFE.COM or sending information about themselves or anyone else over the Internet.